– HAPI participated as exhibitor at the CCC on Kauai and on Oahu. 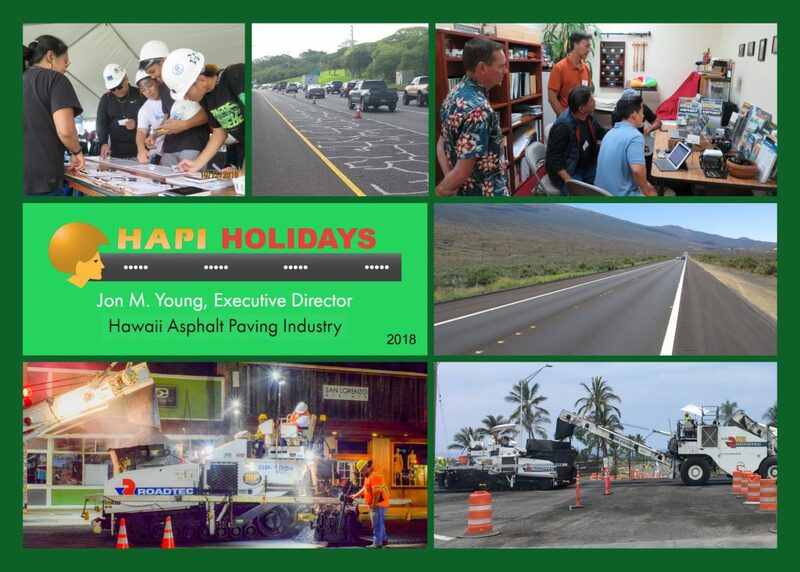 – HAPI also participated in the University of Hawaii, College of Engineering Spring 2018 Career Fair. – This project was featured in the July 2018 issue of our newsletter. – The Saddle Road East Side was the featured project in the February 2018 issue of our newsletter. – The transformation of the Saddle Road was the feature article in the August 2018 issue of our newsletter. – Click here for the contest results. – This project was featured in the September 2018 issue of our newsletter.